DDSM License Pack - ACE Peripherals ::: Completing I.T. Synology DSM can be containerized and run as a Docker image on a Btrfs shared folder with little performance impact, thanks to Docker’s lightweight software virtualization solution. Taking advantage of the Btrfs file system, the entire containerized system can be easily protected by taking snapshots and replicating it to a recovery site. *Model list is subject to change without notice. 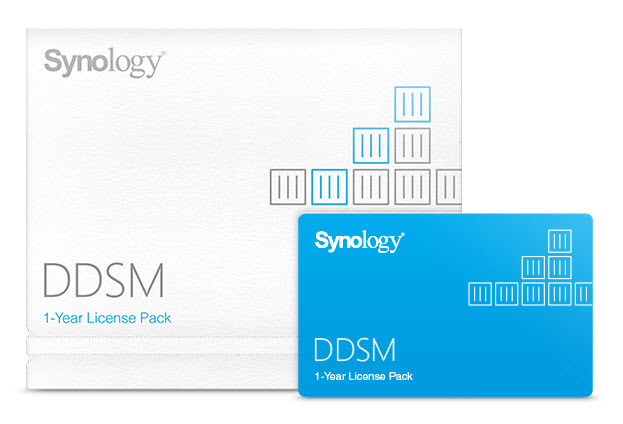 Please refer to www.synology.com for the latest information.